Sneezing is therefore an irritating process but on the other hand, it is good for the health. This mechanism is helpful for removing the allergens out of your body. Some of the common causes of sneezing are animal dander, allergies, mold, dust, wood dust, smoke, pollen and others. Most probably when you have cold or temperature, you will continuously sneezing due to cold weather, rain water, strong smells, food allergies, several drugs, etc. If your nose has become stiffed due to sneezing, peppermint oil in this situation is good because it contains antibacterial properties. Take a pan and boil some quantity of water in it then add five drops of peppermint oil. Cover your head using a towel and take a long breathe so the steam comes in from the boiling pan. Inhaling the steam will ease and clear your nasal passages. You can also boil water mixed with few drops of eucalyptus oil to get relief from sneezing due to colds. Fennel is a common ingredient present at your home but you do not know its benefits. Fennel has anti-viral and natural antibiotic properties that fight against the respiratory infection, including sneezing. Boil a cup of water then add two tsp of crushed fennel seeds and cover the pot. Soak the fennel seeds for about 15 minutes and then strain the solution. Drink two cups of this tea regularly to decrease the sneezing frequency. Make sure do not add fennel seeds until the water is not showing bubbles on the pan otherwise the natural oils in the fennel will be destroyed. Simply use black pepper which is better for reducing the sneezing and runny nose. Add one-half tbsp. of black pepper powder in lukewarm water and drink this solution three times a day. You can also do gargles with warm water mixed with black pepper. It will help in getting rid of cold viruses and germs. Chamomile tea is believed to be a great remedy among other remedies for allergies and sneezing. 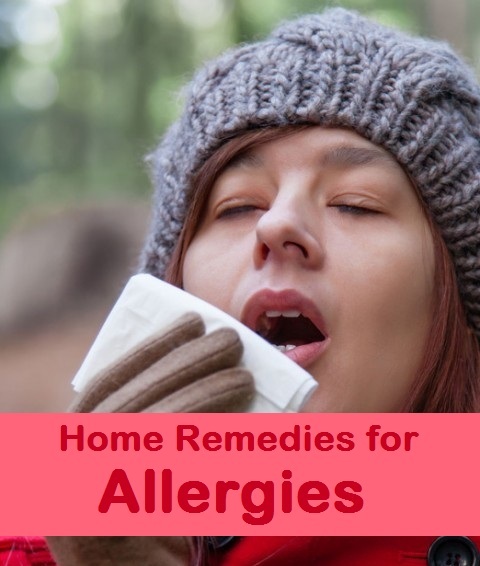 It has antihistamine properties that provide instant relief to your runny nose. Take some dried chamomile flowers and add one tsp of these into one cup of boiling water. Boil the tea for few minutes then add some honey as to taste. Drink this tea two times a day to stop sneezing. You also have an option to use Echinacea and nettle tea then drink two times daily. Your upper respiratory infection can be easily clear from the garlic because it contains natural antibiotic and antiviral properties. 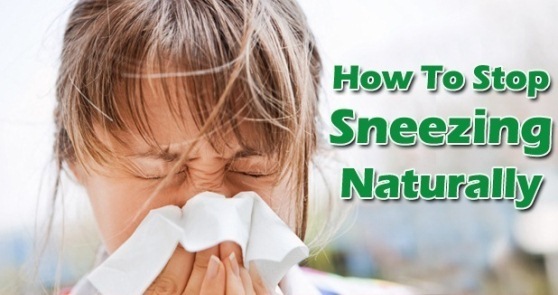 You can take it either internally or externally to get relief from sneezing caused by a common cold. Crush about four garlic cloves and make a fine paste then inhale its strong fragrance for few minutes. 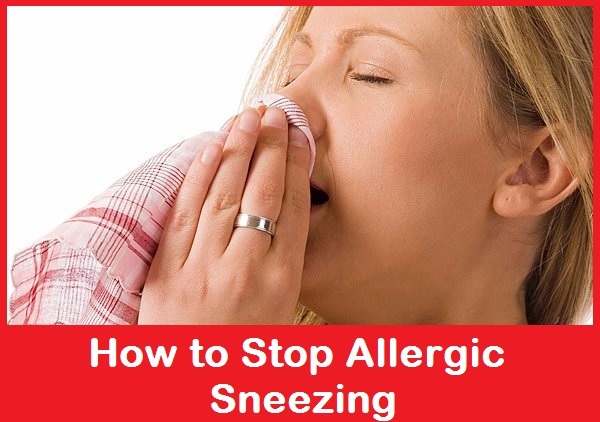 It will clear the nasal passages that was disturbed from the continue sneezing and help in proper breathing. It is better to include garlic in your diet. You can add it to your soups, salads and many other dishes. Ginger is an old age remedy and effective home remedy for treating the several viral and nasal problems including sneezing. For reducing the sneezing completely, you should consume 2 tsp of ginger extract twice a day. Another way is to cut a small piece of ginger root in thin slices and put them in a cup of water then boil for some time. Add a bit of honey for taste and drink this tea before going to bed. This will protect you from sneezing especially at night. Vitamin C is helpful for lowering the histamine production in your body and control sneezing. If you are suffering from the common cold, you should try drinking a glass of lemonade or orange juice in order to get a dosage of vitamin C. You should include vegetables that have bioflavonoid in them in your diet which works the same as vitamin C does. The antioxidant properties of vitamin C works to control the histamine production therefore reduce the sneezing. Like other remedies, oregano oil do the same functions due to the presence of antifungal, anti-parasitic, antibacterial and anti-inflammatory properties. It is vibrant in fighting sinusitis. Not only this, but this essential natural oil extracted from the wild oregano plants is making your immune system strong as it contains carvacrol and thymol. Mix three drops of oregano oil with juice. Drink it daily until you stop sneezing and your sinus congestion is diminish. Fenugreek seeds also provide the relief from sneezing as it also contains antiviral properties. Fenugreek is cool in nature so it soothes the mucous membranes thus clearing the irritation and helps in sneezing. Boil water and add 2 to 3 tsps of fenugreek seeds. Wait till the content reduces to half. Strain the mixture and drink just small sips. Do this remedy at least 3 times a day until your symptoms are gone. Bitter gourd has medicinal properties and is a relevant remedy to treat against the sneezing to a great point. Take about 5 to 6 bitter gourd leaves and soak them in water for some time. Remove the gourds from water, squeeze them out then add a bit of warm water as to make a juice like solution. Add some honey to taste if you like. Drink this solution regularly will help getting rid of sneezing due to colds and seasonal allergies.